Janice Freeman from Team Miley sings ‘Shine’ on The Voice Season 13 Top 11 Live Shows on Monday, November 27, 2017. “It’s crazy. That’s amazing, you transform my opinion of the song. You are not normal, you are truly amazing,” said Adam Levine. “I am so proud of you. I could not sit down when you are performing. You are everything that I could never have on my team,” said Miley Cyrus. 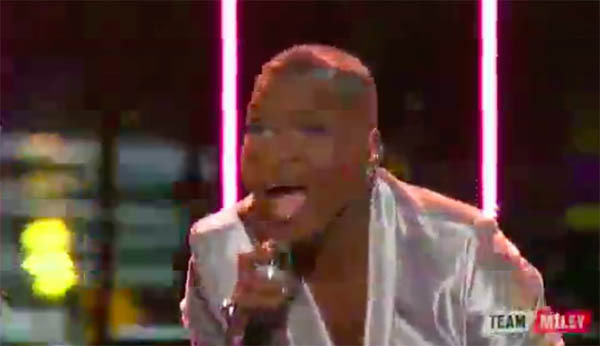 What can you say about Janice Freeman’s performance? Share comments below.